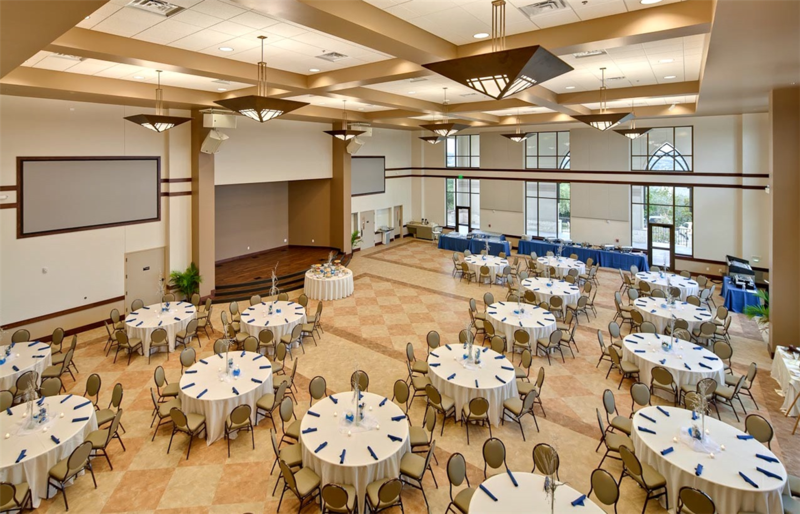 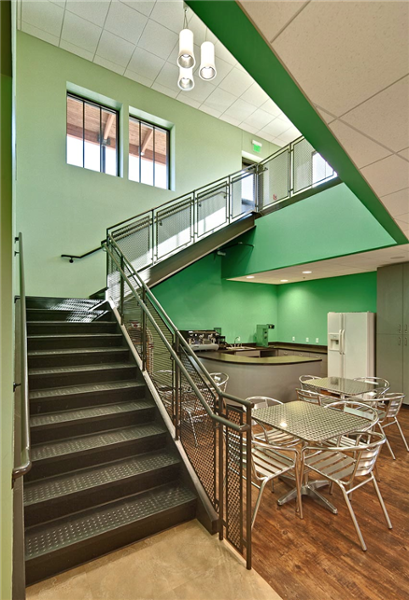 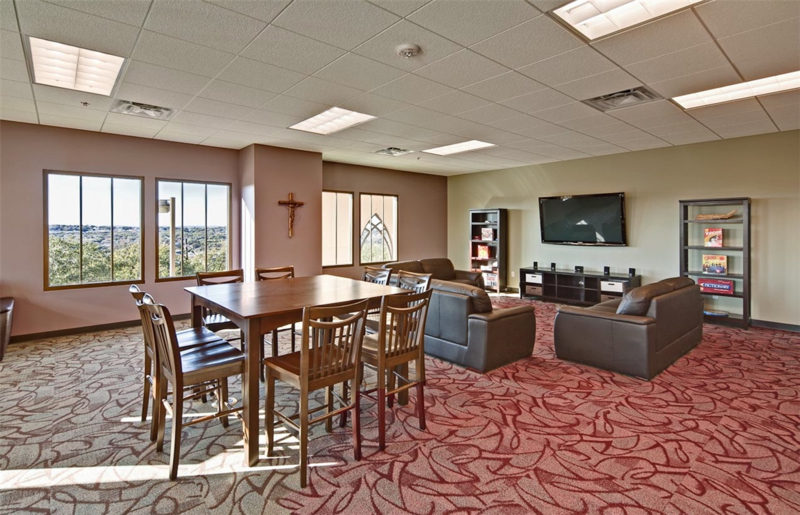 The Emmaus Catholic Parish project includes a fellowship hall and teen activity suite served by a commercial kitchen. 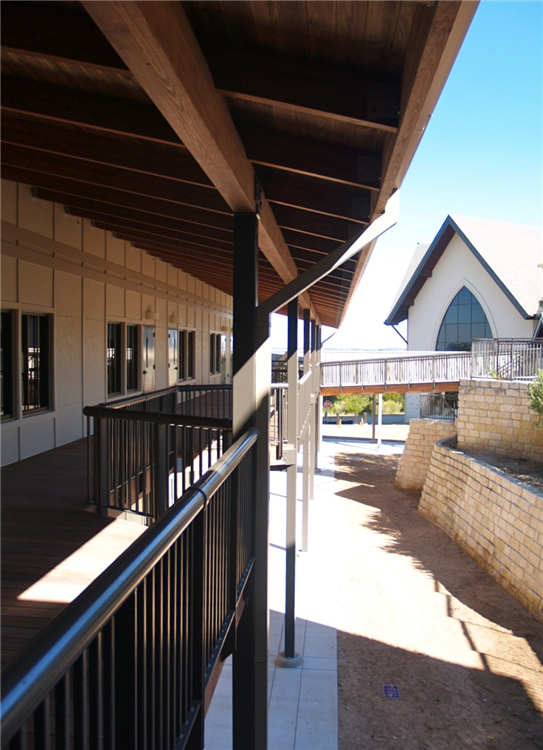 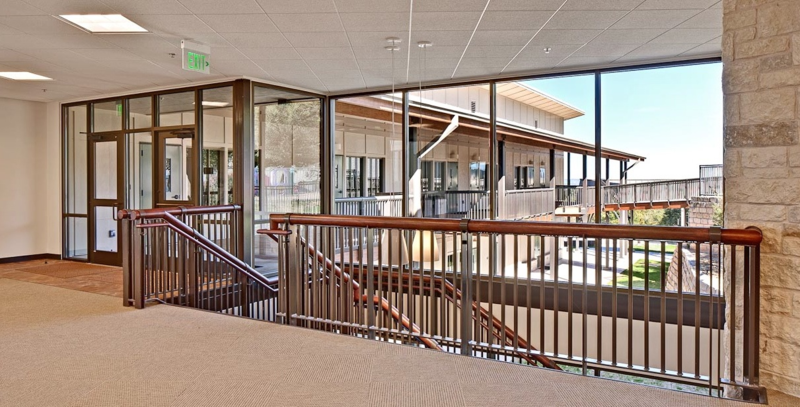 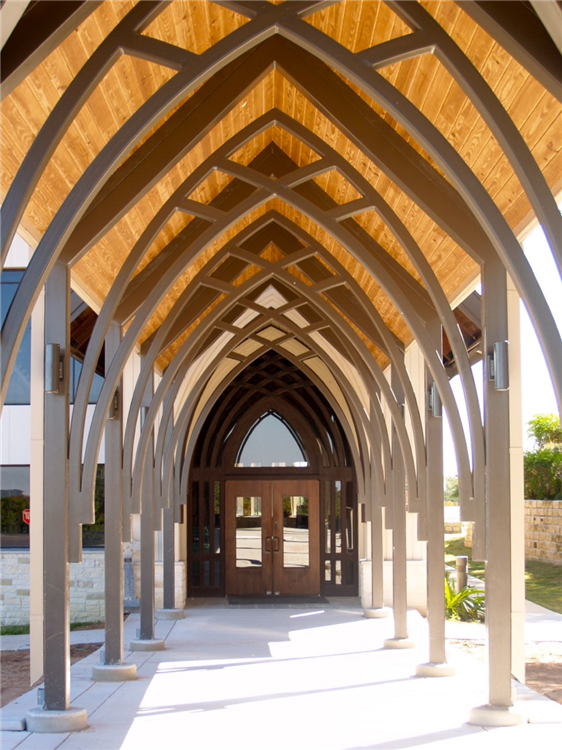 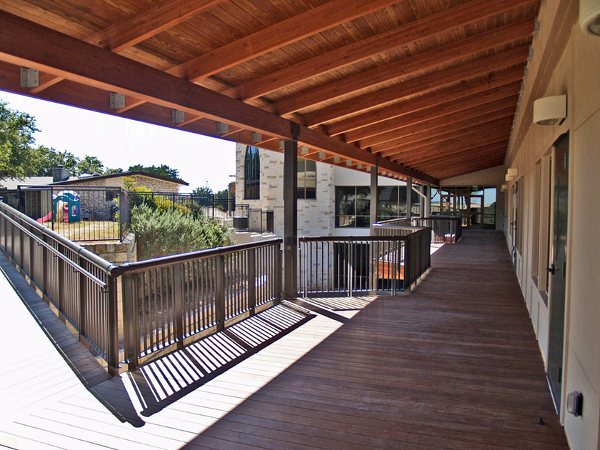 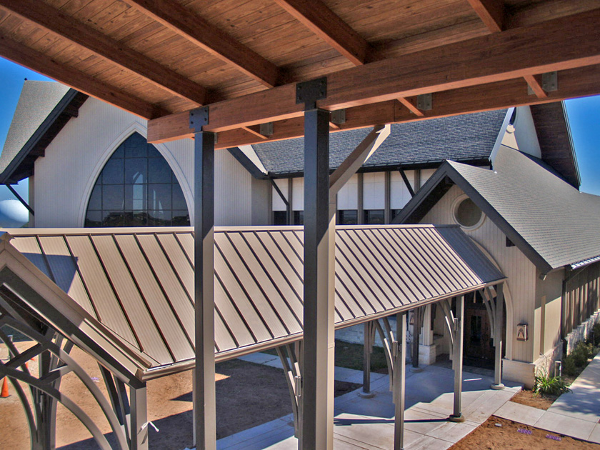 A two story education wing frames an entry to the existing church. 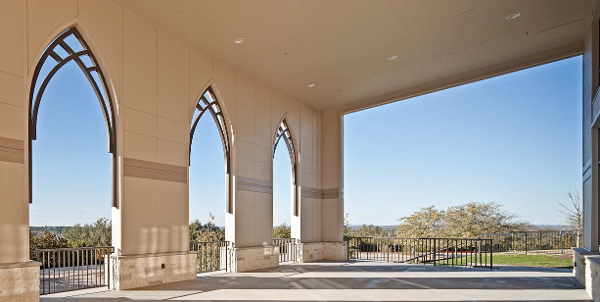 Church leaders grappled with the most appropriate way to expand on a challenging hill-top site. The solution wraps the new program around the edge of the hill, effectively unifying the disjointed campus. 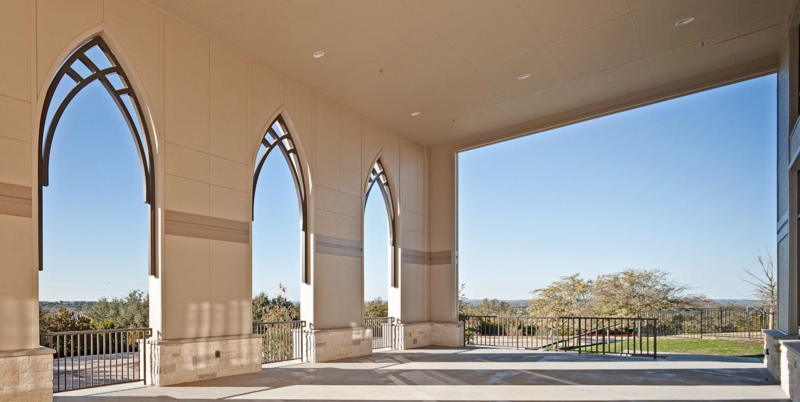 The octagonal-shaped Adoration Chapel is the center of the new complex. 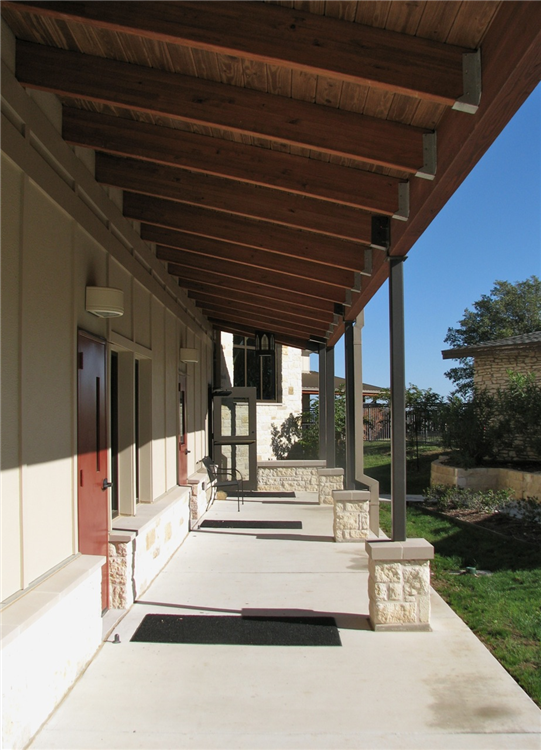 Outdoor corridor looking towards the bridge.